We at the podcast got serious for a few minutes (well not that serious), to discuss the whole remake and reboot craze that hit Hollywood several years ago, and has no signs of letting up. We dive into the history of the Hollywood remake, as well as some of the reasons why these reboots keep happening more often that fresh and original content. 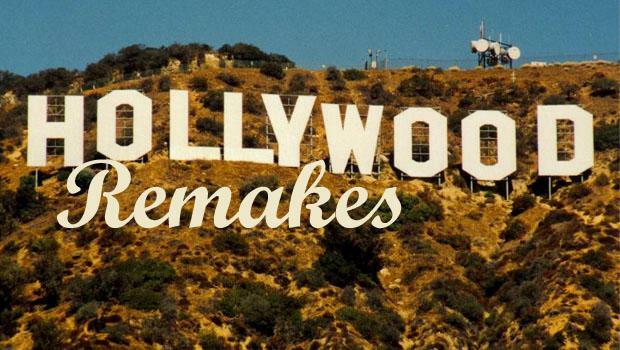 It’s an interesting discussion on where Hollywood is headed in the future and we dissect the good and bad qualities of remakes. And please let us know, what you think by going to our FACEBOOK page, which you should visit to catch up on all the latest information. And don’t forget to visit iTunes and subscribe to our podcast. Enjoy the show. This entry was posted on Wednesday, February 19th, 2014 at 1:19 pm	and is filed under Film, News, Podcast. You can follow any responses to this entry through the RSS 2.0 feed. You can skip to the end and leave a response. Pinging is currently not allowed. « Podcast #25: Pitch Us Your Own Music Festival! !